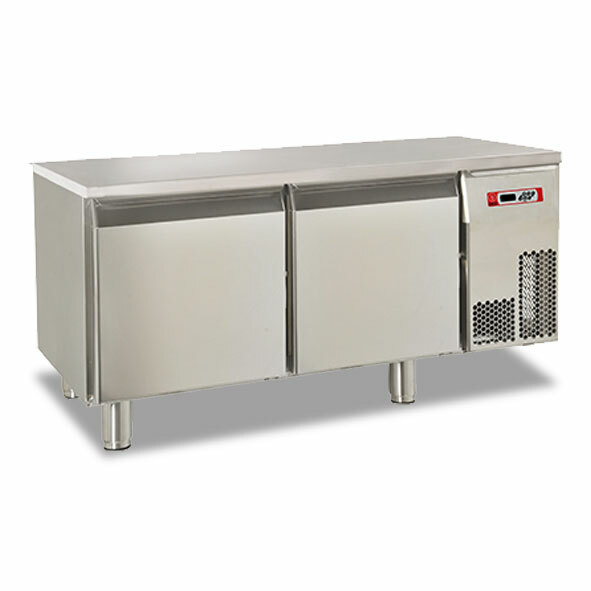 Two door, refrigerated base, suitable for mounting cooking tops. Stainless steel construction and internal rounded corners. No stainless steel top. Total power - single phase, 0.348kW.